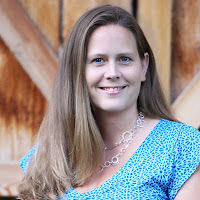 Chick Lit Central: Heather Thurmeier shares her passion and her e-book! Heather Thurmeier shares her passion and her e-book! She’s found what she loves, and it shows in her work. Heather Thurmeier is a full-time stay at home mom, who has found her passion in writing. Her husband is her biggest fan, and eagerly (proven by the dust and coffee stains) proofs her pages for her. Heather was born and raised on the prairies of Canada, and now resides in New York with her husband, 2 children, and a King Charles Spaniel named Indy. Her newest book, "Love on Landing," the second of the Meadow Ridge Romance series (but separate from the first of the series, "Love and Lattes") was released on January 28th. Heather has one e-copy of "Love on Landing" to give away to a lucky reader anywhere in the world. You can find Heather at her website, as well as Facebook and Twitter. In "The Notebook," when Noah takes Ally out on the rowboat and all the swans surround the boat. *sigh* So sweet, secluded and romantic. Tough choice, but I’m going to have to go with Becky Bloomwood and Luke Brandon from "Confessions of a Shopaholic." I loved these two and how they come together despite their fundamental differences. P.S. I Love You and Crazy, Stupid Love. Any Valentine’s Day that hubs is home. We’re not really big Valentine’s Day people. We don’t often make a huge deal out of it. But we’ve had a few where hubs has been away for work, and those are definitely ones I haven’t liked. Now when I get him home for Valentine’s Day, I’m very content cuddling on the couch, sipping strawberry, lime margaritas and nibbling on a box of assorted chocolates. Nom, nom, nom. Special thanks to Heather for making us swoon and for sharing her e-book with a lucky reader. 1. Please tell us: Which guy would you date from a chick lit novel? Giveaway ends February 8th at midnight EST. Thanks so much for having me here today! I can't wait to hear everyone else's favs! GREAT post!!!! All things that I love!!!! Which guy would I date? Hmmmmm I really loved Ethan in Something Borrowed and Something Blue! I'm already a follower of this blog! I'm already a member of Chick Lit Central's FB page! 1. Sooooo with you on Gerard Butler!! But I actually like Jeffery Dean Morgan more. So he's my choice (cuz, ya know, there's a good chance it would happen - )! I would date Luke Brandon from the Shopaholic Series. Thank you for stopping by! I love all your "date" choices!! So many hunky heroes to choose from, how are we even supposed to pick just one? Heather sounds like a kindred spirit based on her answers. Would love to win! Without a doubt, I would date Noah from The Notebooj % and I agree with Heather, as played by Ryan Gosling *sigh*). I am already a member of CLC. i really don't know who i would 'date' great question. I would want to date I am not sure but right now I like Christian from the book I just read A Previous Engagement. Ooh that woud be Luke from the shopaholic series!